As in all heated social and political debates, there is a lot of misinformation, spin, and just plain misunderstandings about the positions and consequences of those positions surrounding the healthcare debate. I already tried to clarify what I thought were the dangerous misconceptions about Obamacare (10 lies Obamacare told me) and it's potential (and probably real) downsides (see also CNN Fortune Editor Breaks Ranks on Obamacare). However, I also see that the Obamamachine is trying to demonize and misrepresent the grass roots resistance to Obamacare (Liberals seeking to silence and demonize those who oppose their benighted plan). I want to set the record straight on some of these issues, because I think that conservatives, some of whom are behaving badly, have good reasons to oppose Obamacare, and it's not for the pejorative motives that some libs accuse them of (some are flatly ridiculous, of course). Cineaste, have you seen District 9? I was blown away. btw: Thanks for the link! Barney Frank, my hero! 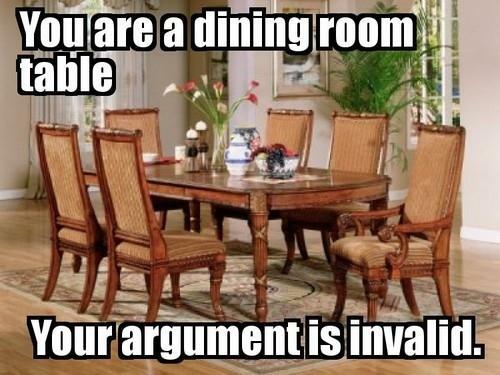 "Having a conversation with a dining room table." That reminds me of efforts to communicate with seeker – pointless. Hi Louis, I haven't yet. What did you like about it? I'd also prefer a single payer system. That's another plus for Barney Frank! Glad you liked the video. I'm curious about that. You don't have a problem with politicians using deception to inact policies that you favor? Of course I have a problem with politicians using deception to enact policies I favor, also those I don't favor, like republicans telling people Obama is instituting death panels. The video you linked to seemed pretty straight forward though, no deception there, they all said they are in favor of a single payer system.